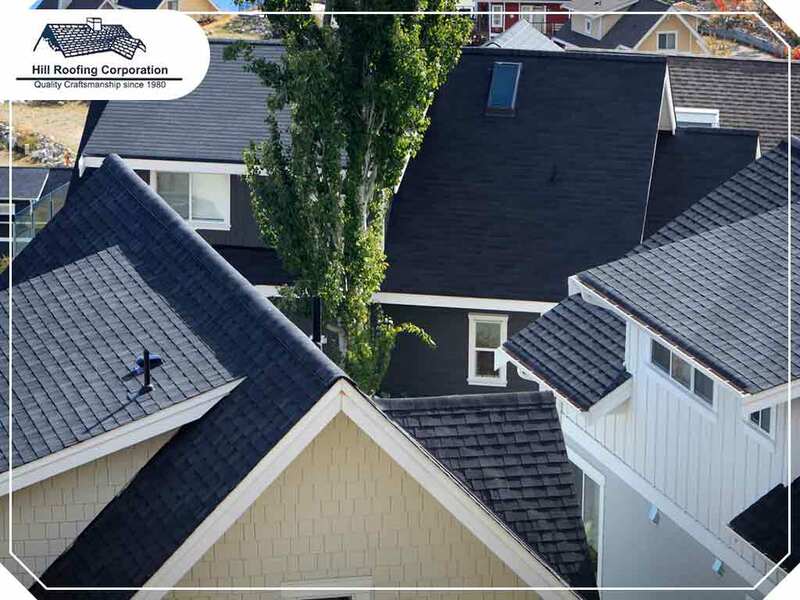 In this post, your local residential roof replacement contractor, Hill Roofing Corporation, tackles the causes of asphalt shingle curling. Improper Installation – The sealing strip holds the shingle tabs down to avoid curling or moving during harsh winds. If it isn’t properly lined up as per the recommendation of the manufacturer, the tabs won’t stay secure and will curl upward or inward. Have your shingles installed by a professional roofing contractor rto make the most of your investment. Improper Nailing – Just like the sealing strip, nails must be used according to the manufacturer’s recommendations. A nail piercing into the sealing strip can make the strip less effective. Due to extreme weather, the nail can loosen up, resulting in lifted and curled shingles. In addition, inadequate nailing also causes curling. Insufficient Attic Ventilation – Moisture buildup in the attic can affect the house’s exterior. A poorly ventilated attic has an increased chance that water vapor will gradually condense in the roof sheathing. The high temperatures reduce the effectiveness of the sealing strip, eventually causing the shingles to curl. Manufacturer’s Defects – Product defects may also cause shingles to curl. Improper adhesion of the bituminous coating, poor substrate quality and inadequate sealing strips are examples of a manufacturer’s defect. You have to be careful when inspecting a roof for curled shingles. This job is best done by professionals to prevent damage. It’s also recommended to stay off fragile roof surfaces, especially during cold weather, because failing shingles may break easily when you step on them. Have your roof inspected by a trusted residential roof replacement contractor like Hill Roofing Corporation. We are your leading provider of residential roofing services. Call us at (703) 291-0311, or complete our online form for a free quote. We work with homeowners in Manassas and Arlington, VA.